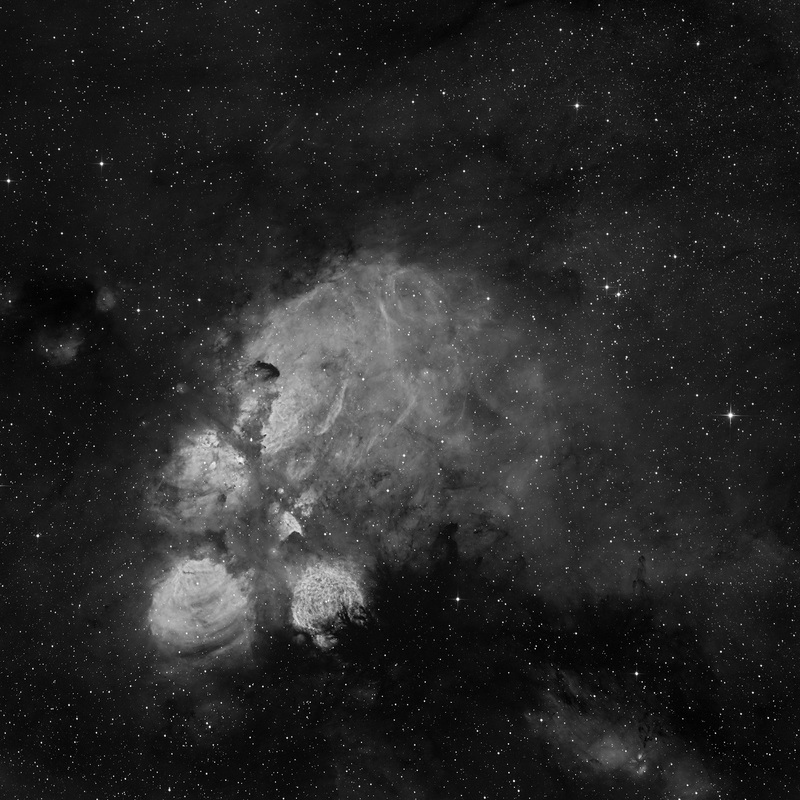 John Herschel discovered this nebula in 1837 from the Cape of Good Hope, and cataloged it as h 3678 in his 1847 catalog. This region, NGC 6334 or informally named the Cat’s Paw Nebula, is rich in gas and dust. Long known to contain very massive young stars, NGC 6334 lies in the constellation Scorpius, toward the galactic center at a distance of about 5 500 light years, and practically in the plane of the Milky Way. 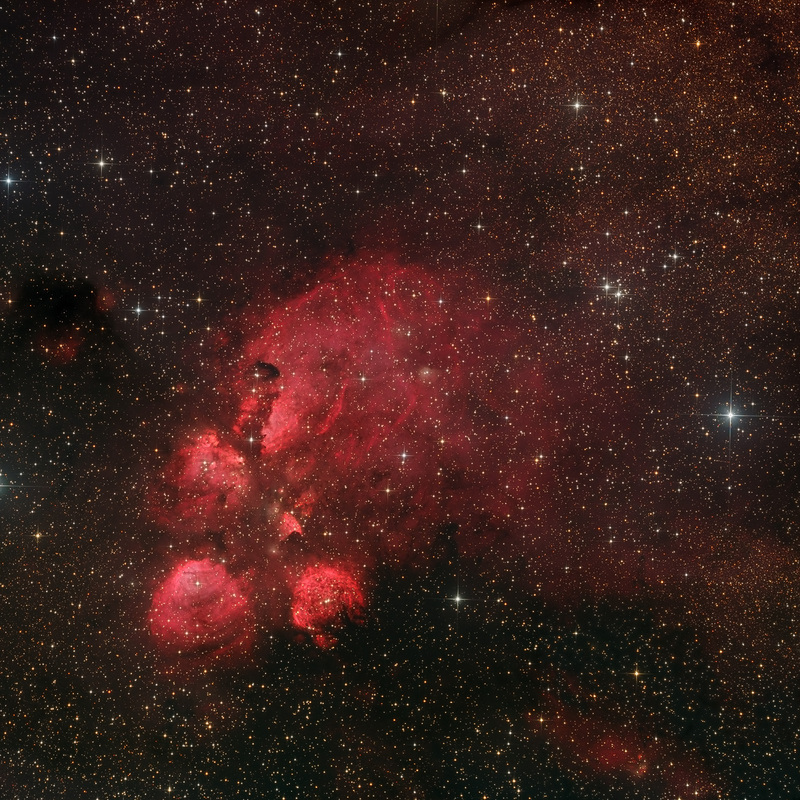 NGC 6334, the Cat's Paw nebula contains five cloud fragments and at least eleven major infrared sources that are probably mostly cooler B stars. 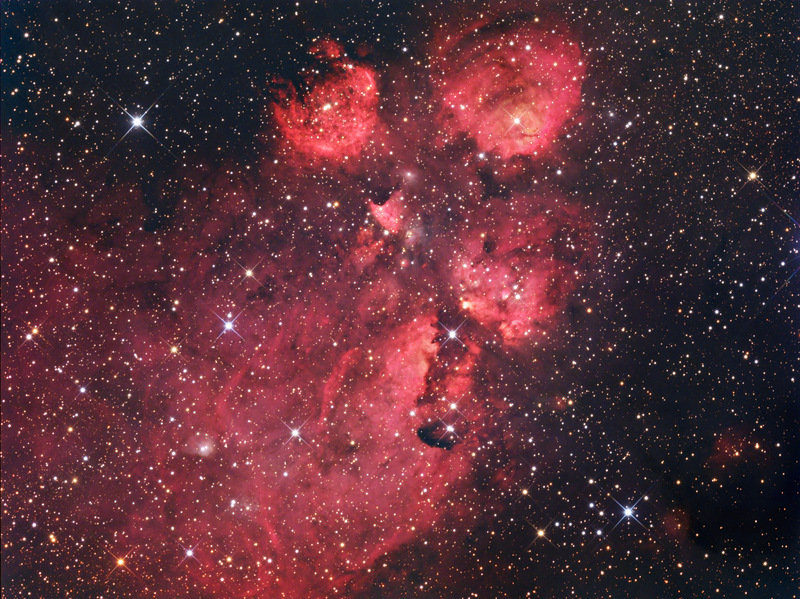 Approximately it lies at the same distance as NGC 6357 (the Lobster Nebula or the War and Peace nebula), and is separated from it by a dark cloud. Both are near the Sco OB4 association in the Sagittarius arm. It is an area of extremes. 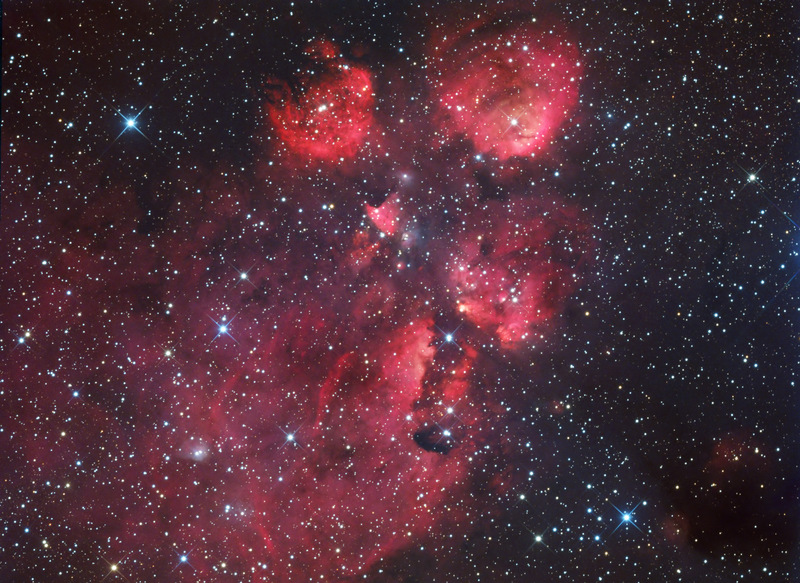 The Cat's Paw Nebula contains material that is coalescing to form new stars, some with up to 30 to 40 times as much mass as our Sun. It houses tens of thousands of recently formed stars, more than 2 000 of which are extremely young and still trapped inside their dusty cocoons. Many of these luminous hot stars are surprisingly not visible because they lie within the dusty plane of our galaxy. Most of these stars are forming in clusters where the stars are spaced up to a thousand times closer than the stars in the Sun's neighborhood. The starburst in NGC 6334 began relatively recently and will last for only a few million years - a blink of the eye on cosmic timescales.